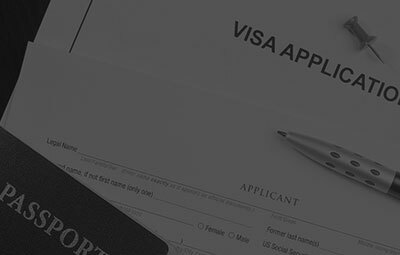 We have a number of clients enquiring about the difference between these two visa types and which may represent a better option for their particular circumstances. As such, we have prepared the following table to facilitate a better understanding of the two skilled visas. · You hold a valid passport issued by the United Kingdom, the United States of America, Canada, New Zealand or the Republic of Ireland and you are a citizen of that country. · You have achieved a score of at least 6 in each of the four test components (speaking, reading, listening and writing) in an International English Language Testing System (IELTS) test that has been undertaken in the three years immediately prior to lodging the visa application. · You have achieved a score of at least ‘B’ in each of the four test components of an Occupational English Test (OET) that has been undertaken in the three years immediately prior to lodging the visa application. · You have achieved the following minimum test scores in each of the four test components: 12 for listening, 13 for reading, 21 for writing and 18 for speaking, in a Test of English as a Foreign Language internet-based test (TOEFL iBT) test that has been undertaken in the three years immediately prior to lodging the visa application. · You have achieved a test score of at least 50 in each of the four test components (speaking, reading, listening and writing) in a Pearson Test of English (PTE) Academic that has been undertaken in the three years immediately prior to lodging the visa application. · You have achieved a test score of at least 169 in each of the four test components (speaking, reading, listening and writing) in a Cambridge English: Advanced (CAE) test that has been undertaken on or after 1 January 2015 and prior to lodging the visa application. To prove that you have competent English you must provide evidence of one of the following:· You hold a valid passport issued by the United Kingdom, the United States of America, Canada, New Zealand or the Republic of Ireland and you are a citizen of that country.· You have achieved a score of at least 6 in each of the four test components (speaking, reading, listening and writing) in an International English Language Testing System (IELTS) test that has been undertaken in the three years immediately prior to lodging the visa application.· You have achieved a score of at least ‘B’ in each of the four test components of an Occupational English Test (OET) that has been undertaken in the three years immediately prior to lodging the visa application.· You have achieved the following minimum test scores in each of the four test components: 12 for listening, 13 for reading, 21 for writing and 18 for speaking, in a Test of English as a Foreign Language internet-based test (TOEFL iBT) test that has been undertaken in the three years immediately prior to lodging the visa application.· You have achieved a test score of at least 50 in each of the four test components (speaking, reading, listening and writing) in a Pearson Test of English (PTE) Academic that has been undertaken in the three years immediately prior to lodging the visa application.· You have achieved a test score of at least 169 in each of the four test components (speaking, reading, listening and writing) in a Cambridge English: Advanced (CAE) test that has been undertaken on or after 1 January 2015 and prior to lodging the visa application. Where can you live ? You sign an undertaking to reside in the sponsoring state for the first 2 years.